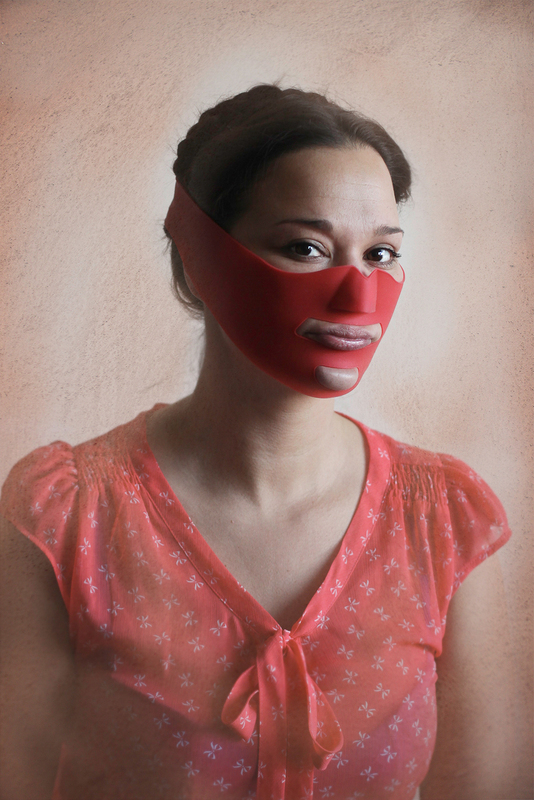 Photographer Evija Laivina bought one of these nose-lifting devices last year, for her project “Beauty Warriors.” It was shipped from China to her home in Inverness, Scotland. 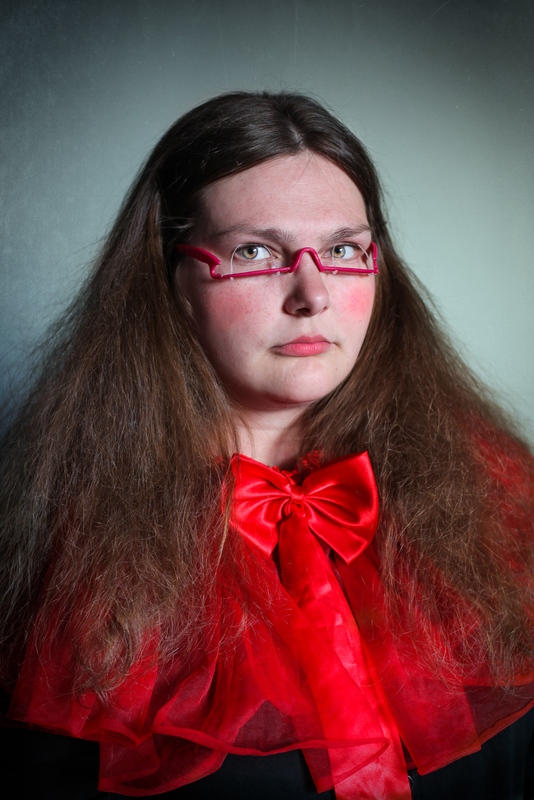 “I was working on a project about beauty and identity for college,” she explains, “I wasn’t sure what exactly it was about but then I started to collect these devices.” She is referring to the profusion of cheap gadgets sold online that promise to uplift eyes, eliminate double-chins, and amplify smiles. 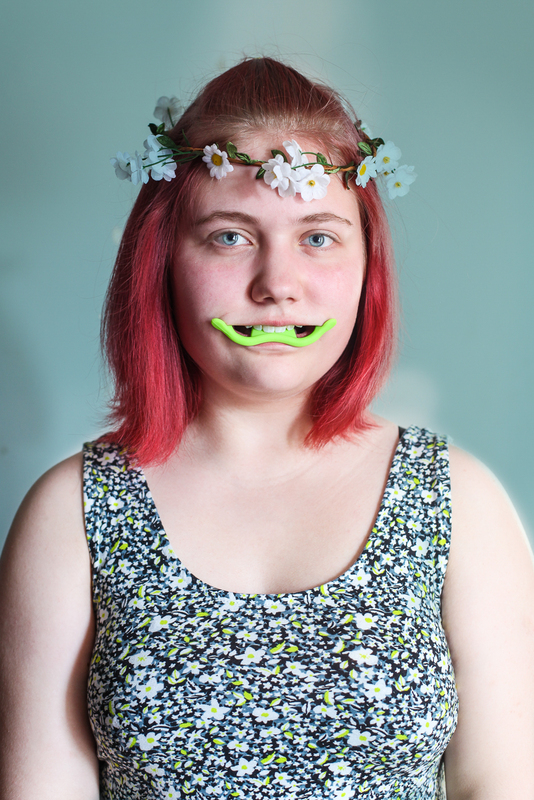 Among the products Evija has photographed: a lime-green plastic “smile maker” that keeps your lips in a permanent manic grin with tiny curved crutches (made in Korea, $8.99 through Amazon Prime). 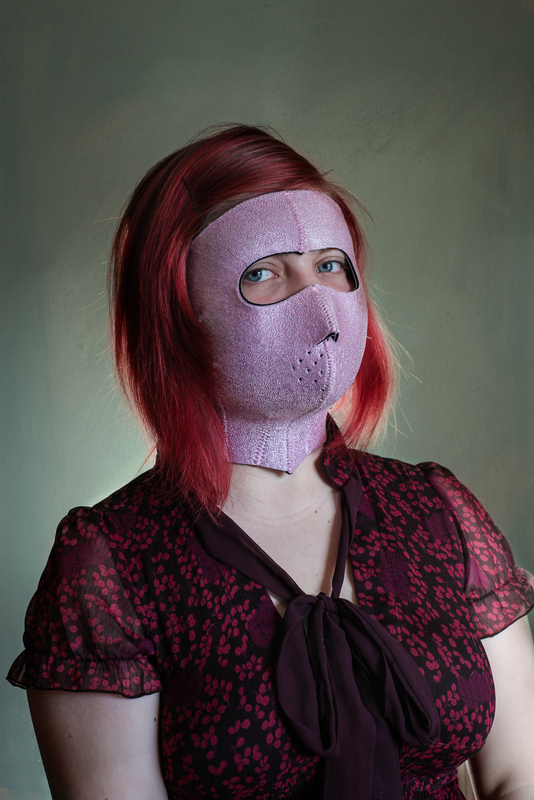 A chin-shaping “head belt” made from soft pink neoprene that the listing assures will fit even “soft chin” (made in China, $2.45 on Amazon). 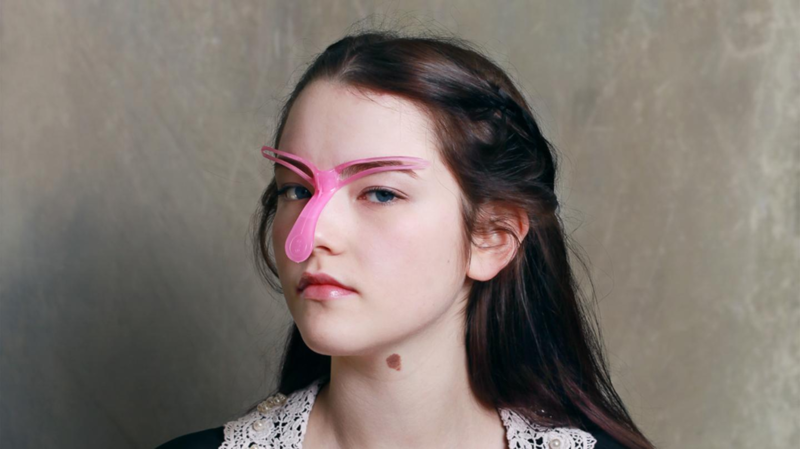 And an “eyelid trainer,” a funky-looking pair of inverted spectacles that promises to “refine the eyelid without plastic surgery” ($7.99 through Amazon Prime, where the product’s one review reads just, “crap”).